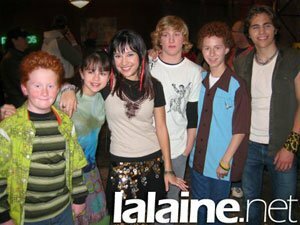 This is a Disney Channel Show that was never picked up is a follow up show to hit series of Lizzie McGuire. What’s Stevie Thinking? is about Miranda Sanchez and her Sister and Parents and her Best Friends as they try to help support Wildlife Conservation and help at Australia Zoo with Crocodile Hunter Steve.